We were hiking the ridge of Mount Yasur on the island of Tanna, one of 83 outposts in the South Pacific that form the nation of Vanuatu. Yasur is one of the world’s few active volcanoes considered “safe” to view up close; we were still two hoars from the top but already the mountain was making thunderous, frightening sounds. 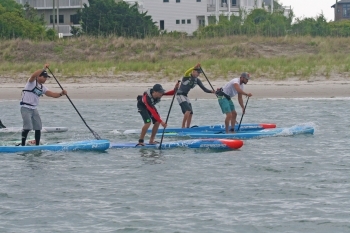 Trevor Tunnington shows what’s possible on a foil after just two weeks. 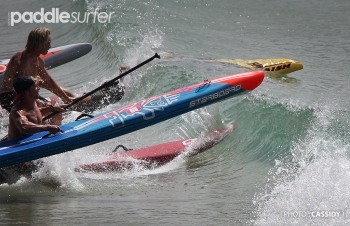 Connor Baxter has just won the Beach Race to make it a clean sweep of the weekend and claim the 2017 Hossegor Paddle Games overall title ahead of his key EuroTour rivals and fellow world-beaters Michael Booth and Titouan Puyo. 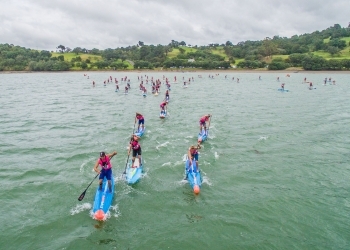 The New Zealand Nationals wrapped up this afternoon in wild and woolly conditions, with Annabel Anderson and Titouan Puyo making it a clean sweep of the weekend by adding the beach race title to the distance crowns they picked up yesterday. Following the first major race of the season, there’s been a solid update to the World Rankings Top 100 Men and Top 50 Women leaderboards. Titouan Puyo is the big mover, jumping up to number three in the world, while Trevor Tunnington makes his top 10 debut. 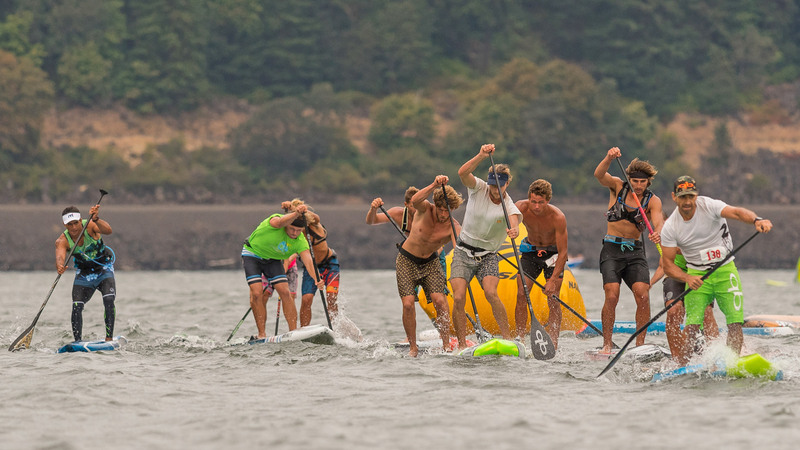 Connor Baxter and Sonni Hönscheid have just won the 2015 Lost Mills International SUP Race, beating an all star field and establishing a commanding lead on the Euro Tour Leaderboard in the process. 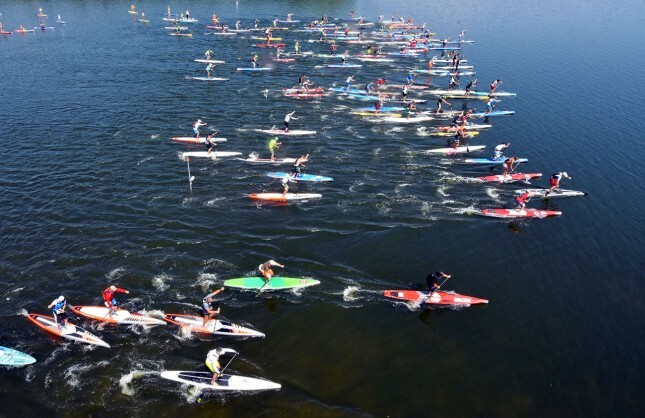 One of the more interesting races on the calendar is happening right now down in Adelaide, South Australia. 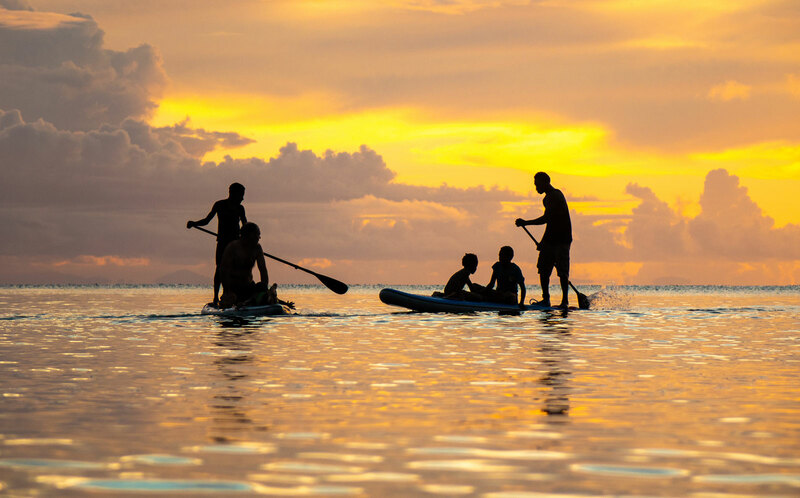 The 2014 Australian Flatwater SUPfest has drawn some of the country’s finest to the Westlakes Aquatic Centre, a location usually reserved for canoe, kayak and rowing races. 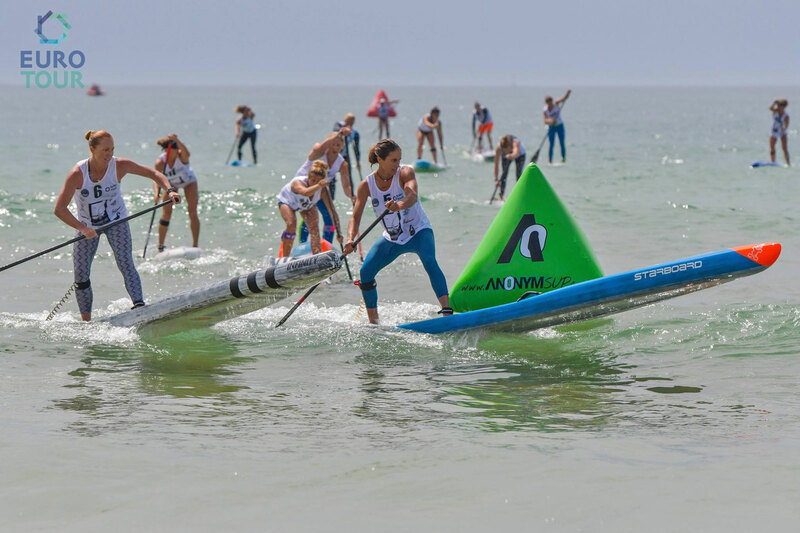 In the tradition of San Diego’s Silver Blade Regatta, the Aus SUPfest will see competitors racing in separate lanes, complete with automatic starting gates and all.